In this online world we live in, there’s a wealth on information available on the Web that can prove beneficial to medical assistants. It doesn’t matter if you’re a student still studying to become a medical assistant, a recent graduate looking for a medical assisting job or a working medical assistant who needs a little refresher course on performing your duties, you can find help online. 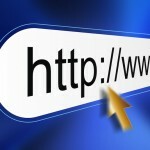 Here is a list of some of the websites that medical assistants might find useful. A large reference site full of links for medical students of all disciplines. Of greatest interest to medical assistant students will likely be the long list of links to free medical textbooks online, which can help reinforce their learning in the classroom at no cost. A well-organized site of links to medical information (textbooks, journals, websites, etc.) covering several topics that might prove useful to medical assistants, such as: ethics, coding, anatomy and computing. This huge repository of free e-books has an ample section for medical textbooks, divided into dozens of subjects. This useful reference provides general overviews on a variety of medical topics in plain English. Of particular use is its Resources section, which gives help on basics some might take for granted, like pronunciations, weights and measures and common medical tests. Not only is this a medical dictionary containing thousands of medical terms, but it also contains over 200,000 healthcare acronyms and abbreviations, plus databases of medical equipment, FDA-approved drugs, ICD codes and directories of hospitals and pharmaceutical companies. Mnemonics are learning devices (like “backronyms”) to help you remember information, and this site is full of user-submitted mnemonics to help medical students and professionals to recall all those little details that sometimes seem impossible to memorize. Despite the name, this site has job listings not just for nurses, but for other healthcare positions as well, including medical assistants. This “monster” of a job search site has a healthcare section that has tons of medical assistant ads. Use the search function of this medical career web site to find a bunch of medical assistant jobs. Medical assistants who have billing and coding responsibilities might find this site, an online database of medical billing codes and information, very useful indeed. This site contains a directory that lists all major health insurances in the United States, including links to their websites.